What's better than seeing Caribou perform once in a day? Seeing Caribou perform twice in a day of course! 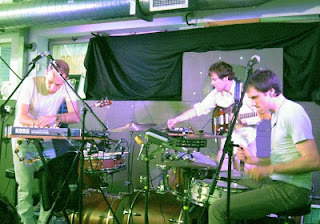 Last Saturday, Caribou (Dan Snaith and his band) played an in store show at the Rough Trade East store to celebrate Record Store Day 2010. 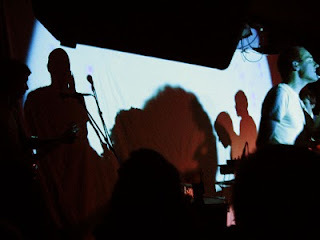 It also kicked off the European leg of their tour to promote their latest album, 'Swim'. When I arrived the queues were literally down the street and around the block. I'm not sure everyone was queueing to see Caribou since there were other bands playing, but I am certain lots of people who witnessed the awesome performance and didn't already know of them were duly converted. Their second show of the day was at the legendary and very small (150 capacity) Freebutt in Brighton, this had sold out two weeks prior. Both shows looked and sounded fantastic. Thankfully the loudness of the PA systems didn't overly 'dull out' the sounds as can quite often be the case. Crowd pleasers such as 'Bowls' and 'Sun' sounded particularly great, the band really looked like they were finding their groove. 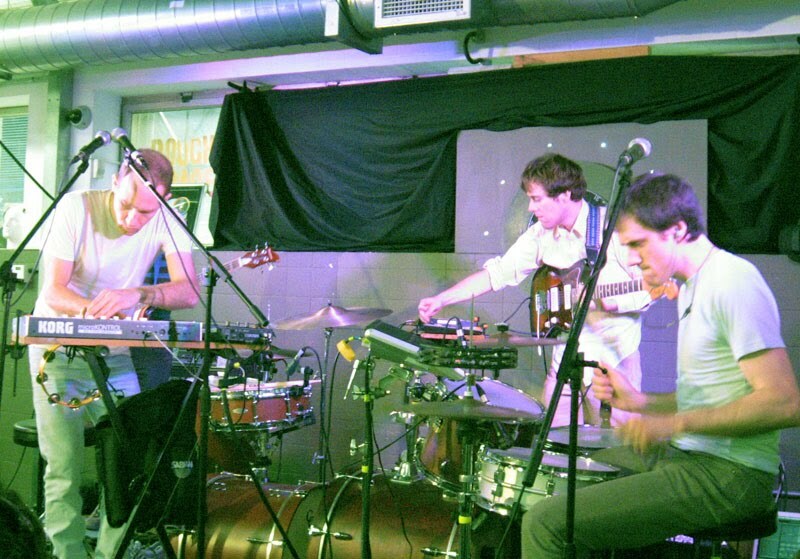 Drawing mostly on songs from ‘Swim’, they also performed ‘Melody Day’ from their last album ‘Andorra’ (2007). This is a personal favourite so it was lovely to hear it performed live -annoyingly I still haven't figured out what they're actually singing in the chorus. My favourite part of both shows involved the drums. I was completely transfixed every time Dan Snaith and Peter Mitton beat out what looked to me to be quite complex rhythmical drumming sections in seemingly perfect symmetry, this was incredibly impressive and blew my mind a little. After the show I got a chance to meet Dan Snaith in person but I must have been slightly overwhelmed and just muttered lots of thank you's and shook his hand! I can be so frustratingly useless sometimes in these scenarios! Anyway, Caribou has earned my award for best performance of the year so far. If you get the chance to see them play, do not pass it up.